Organizations being hacked is not always the result of superior adversary, but more often than not (I think the figure is closer to 85% defender mistakes vs. 15% “very skilled) the result of poor defenses. The recent Russian hacking highlights against the White House website (note that GAO rated MOST Federal agencies as failing w/ regards to their information security postures) was noted as skilled, because they used yet known vulnerabilities. This is a generous leap in conclusion. Their sophistication is not a factor here, but they have budget to buy such vulnerabilities off the open market. These are easily available and a successful attack could be orchestrated with less than $10k. According to public sources, the very expensive vulnerabilities cost around $100k. Easily within the reach of any financed attack group. As we enter the week of RSA, and likely a slew of discoveries that are released this week let’s be pragmatic on their impacts and the defenders role. They’ve determined that APT28, a politically-motivated Russian hacking group, used unpatched exploits in Flash Player and Windows in a series of assaults against a “specific foreign government organization” on April 13th. Patches for both flaws are either ready or on the way, but the vulnerabilities reinforce beliefs that APT28 is very skilled — less experienced groups would use off-the-shelf code. via Russians are using undiscovered exploits to hack governments. Ever find yourself just click click clicking through every message box that pops up? Most people click through a warning (which in the land of Web Browsers usually means STOP DON’T GO THERE!!) in less than 2 seconds. The facts seem to be due to be from habituation – basically, you are used to clicking, and now we have the brain scans to prove it! What does this mean for you? Well specifically you won’t be able to re-wire your brain, but perhaps you can turn up the settings on your web browser to not allow you to connect to a site that has the issues your web browser is warning against. Simple – let the browser deal with it and take away one nuisance. The MRI images show a “precipitous drop” in visual processing after even one repeated exposure to a standard security warning and a “large overall drop” after 13 of them. Previously, such warning fatigue has been observed only indirectly, such as one study finding that only 14 percent of participants recognized content changes to confirmation dialog boxes or another that recorded users clicking through one-half of all SSL warnings in less than two seconds. Don’t forget to check out – www.facebook.com/hntbh if you are looking for quick reminders. The book is coming along and chapter releases are (finally) coming in April! While not a complicated or strategic topic that I would normally highlight, this one bit of news is from my home airport and personally meaningful. Bottom line is organizations, especially those tasked with safety of human life, must have the primary and secondary controls in place. Hopefully the remarks of a minor risk are based on their security assessments with the considerations above (and more perhaps). Hundreds of ID badges that let airport workers roam the nation’s busiest hub have been stolen or lost in the last two years, an NBC News investigation has found. via Hundreds of Security Badges Missing From Atlanta Airport – NBC News.com. Also thanks to the new new aggregator (competitor to AllTops) Inside on Security or the clean new interface. TOP-SECRET GCHQ documents reveal that the intelligence agencies accessed the email and Facebook accounts of engineers and other employees of major telecom corporations and SIM card manufacturers in an effort to secretly obtain information that could give them access to millions of encryption keys. 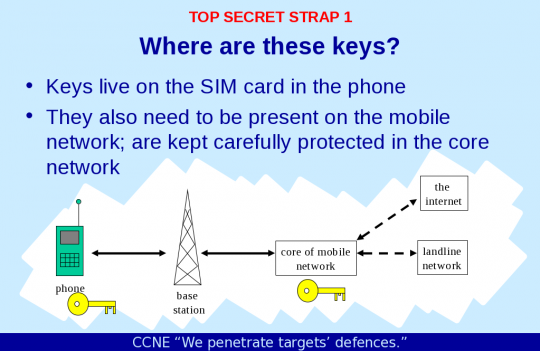 -The Great SIM Heist: How Spies Stole the Keys to the Encryption Castle. This news made a number of people upset, but after studying it for several weeks and trying to consider the macro effects to regular end users and corporations I have reached a contrarian point in my analysis. Sure the implications are published and are known, but who ever considered their cell phone encrypted and secure mobile device? I don’t think any consumer ever had that feeling and most professionals that WANT security in their communications use special precautions – such as the Black Phone. So, if nobody expected it, demanded it, and the feature was primarily used to help billing than what SHOULD happen moving forward? I would be interested in others points of view on the lessons forward. I have spent a good deal of time coordinating with leaders in this space and believe we can make a difference if we drop the assumptions, hopes, and focus on actual effective activities. Blackphone was created by the best minds in cryptology, security and mobile technology. In December Amazon released a nice guide with architecture layouts + tips across the NIST 800-53 standard. This is an important tool for ANY business looking to accelerate their operations into a distributed system model. Many of the SAAS service providers do not have a FedRAMP ATO, so using their services will have to be discussed with the authorizing official at the sponsoring agency. Pg 28 <– sounds simple, but very costly if done under hopeful assumptions of acceptance! AWS has found that installing applications on hardened OS’s can be problematic. When the registry is locked down, it can be very difficult to install applications without a lot of errors. If this becomes an issue, our suggestion is to install applications on a clean version of windows, snapshot the OS and use GPOs (either locally or from the AD server) to lock down the OS. When applying the GPOs and backing off security settings, reboot constantly because many of the registry changes only take effect upon reboot. 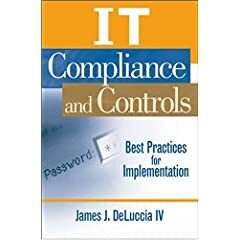 Tagged amazon, aws, cloud, Compliance, cyber, fedramp, gov, information security, james deluccia, jdeluccia, nist 800-53, operations, u.s.
After over a decade of working with startups, private equity, and over the last 5 years of deep big 4 client services acting in different executive roles (CISO, CIO Advisor, Board of Directors support) I am certain there is a need and lack of implementation for adapted information security that is reflective of the size, maturity, and capabilities of the business. This applies independently to the the product and the enterprise as a whole. To that end, I have begun building models of activities to match each level of maturity to try and bring clarity or at least a set of guidelines. As I share with my clients … in some cases a founder is deciding between EATING and NOT. So every function and feature, including security habits, must contribute to the current needs! I have begun working with several partners and venture capital firms on this model, but wanted to share a nice post that highlights some very informative ‘Patterns in Hyper-growth Organizations‘ and what needs to be considered (employee type, tools, etc..). Please check it out and I look forward to working with the community on these models. We’re going to look at the framework for growth. The goal is to innovate on that growth. In terms of methods, the companies I’ve explored are high-growth, technology-driven and venture-backed organizations. They experience growth and hyper-growth (doubling in size in under 9 months) frequently due to network effects, taking on investment capital, and tapping into a global customer base. via Mapping the Startup Maturity Framework | Likes & Launch. Methodology for the identification of critical connected infrastructure and services — SAAS, shared services.. 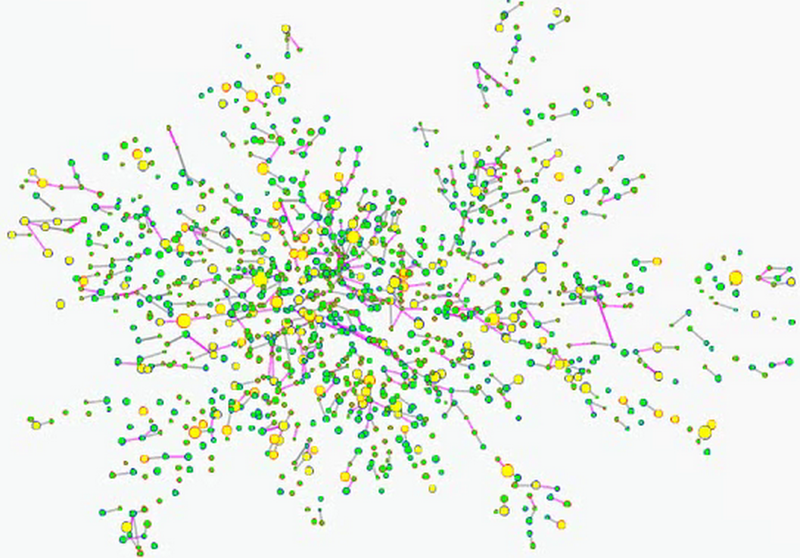 This study aims to tackle the problem of identification of Critical Information Infrastructures in communication networks. The goal is to provide an overview of the current state of play in Europe and depict possible improvements in order to be ready for future threat landscapes and challenges. Publication date: Feb 23, 2015 via Methodologies for the identification of Critical Information Infrastructure assets and services — ENISA.